Proceed past "The Carousel Casino"
Proceed on sand road ± 1.6km to the Main Gate. 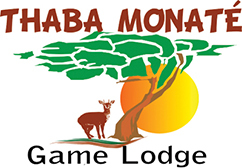 Welcome to Thaba Monaté! we hope you enjoy your stay.